*While I prefer fresh garlic, I have found that the roasted jar garlic is a great substitute, especially in the winter. 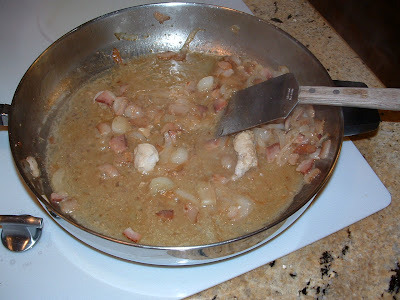 Add onion slices and garlic, sauteing until tender. Move bacon and onions to the sides and add butter. When butter is melted, add chicken and brown well on both sides. In the meantime, prepare the pasta per package directions. 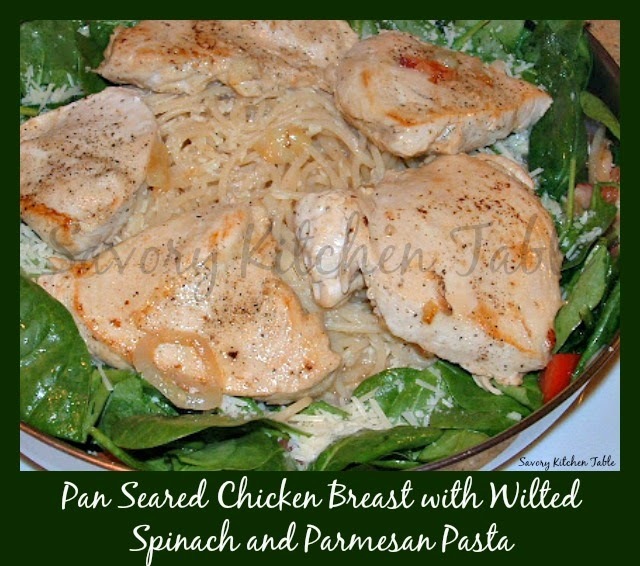 Add spinach and saute’ until spinach wilts. Move spinach to outer sides. Toss pasta with wine and lemon juice. 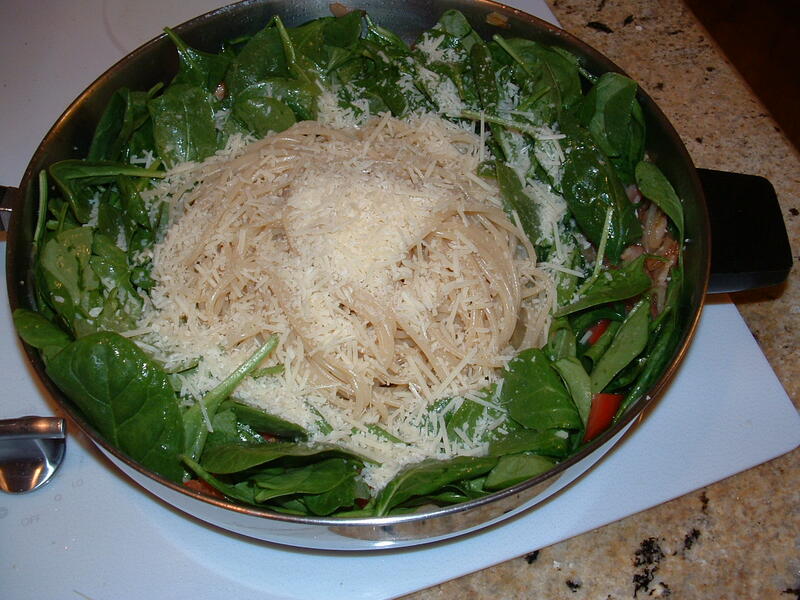 Mound pasta in center of pan. 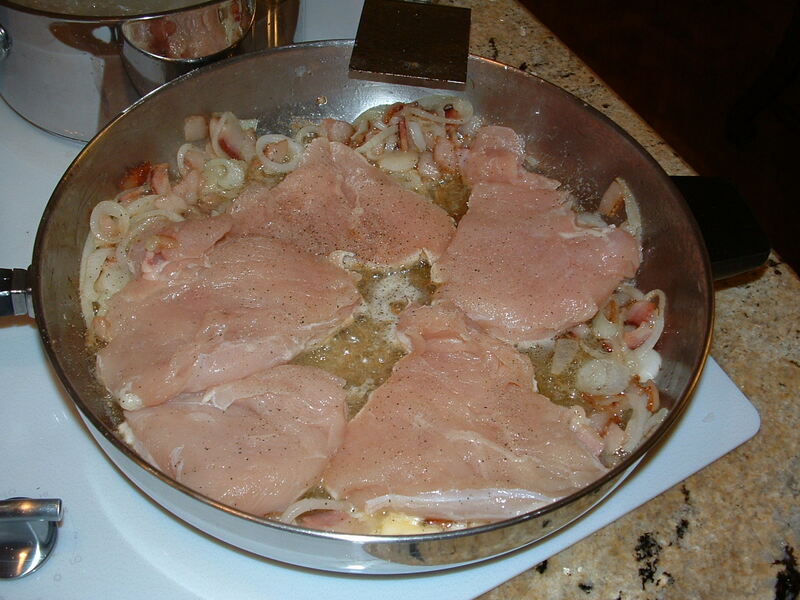 Layer chicken pieces over top.